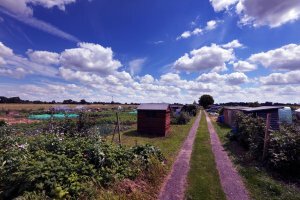 The Town Council has allotments available for rent in Stocking Fen Road. If you are a resident of Ramsey, Ramsey Forty Foot, Ramsey Heights, or Ramsey St Marys or the surrounding area and would like to rent an allotment garden please contact the Town Council on 01487 814957 for further details. You will be asked to provide a £50 deposit and the annual rent payable in September is £10.00.